Going to play in Victoria Australia- Have the fun! Do you know that earlier times horse racing was one of the lottery games played in most of the countries? Lotteries in Victoria since 1954 have been run by Tattersall’s, the private company owned by the trustees of George Adams who are licensed for up to ten years at a time to promote and conduct a variety of lotteries and any other games approved by the Minister. Victoria had banned lotteries in the nineteenth century. But for the first half of the twentieth century Victorian residents continued to purchase Tattersall’s tickets from Tasmania. Victoria was by far the largest market for Tattersall’s lotteries. The Victorian Government of John Cain Snr proposed to legalise a state-run Victorian lottery, similar to that operating in NSW. In 1953 the Tattersall’s Trustees and the Cain government engaged in secret talks resulted in Tattersall’s moving permanently to Melbourne in 1954. After slow but steady growth in the 1960s, the 1970’s was a period of expansion for Tattersall’s Victorian and interstate operations. 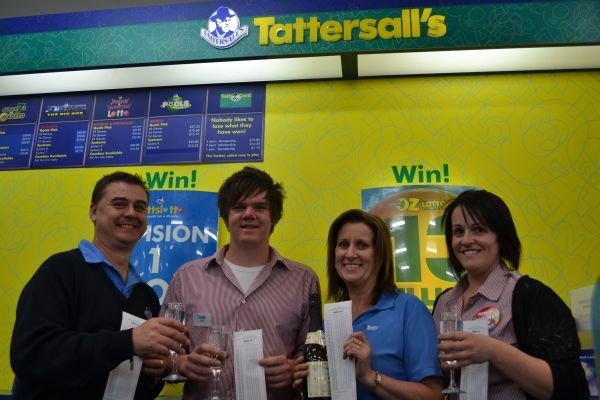 In 1997, under Victorian legislation (the Tattersall’s Consultations Act 1997), Tattersall’s became the first Australian organisation to sell lottery products on the internet. 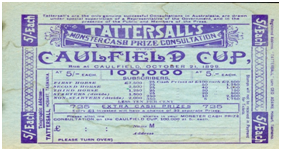 All players were required to first register with Tattersall’s. Prevailing legislation meant that only players from Victoria, Tasmania, the Northern Territory and the ACT can register and play. Tatts Group Limited, formerly Tattersall’s Limited, is now an Australian lottery company headquartered in Brisbane. There are two public lottery licences in Victoria held by Tattersall’s Sweeps Pty Ltd (Tattersall’s) and Intralot Australia Pty Ltd (Intralot). Tattersall’s is authorized to offer Tattslotto, Oz Lotto, Powerball, Super 66, The Pools, Monday and Wednesday Lotto and Draw Lotteries. Intralot is authorized to offer Keno 10/20/70 (Lucky Keno), Pick 5 Heads or Tails, Cross & Match (Lucky Lines), TV Bingo (Lucky Bingo Star), Pick 3, Instant Lottery Games (Lucky Tix) and Instant Lottery Games drawn by random number generator. There are approximately 758 Tatts outlets and 747 Intralot outlets located at eligible clubs, hotels, news agents and petrol stations. 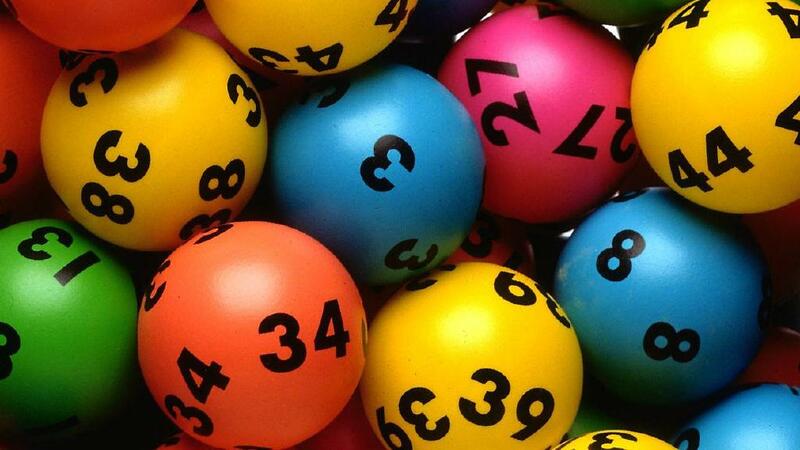 Between July 2013 and June 2014 a total of $492.1 million was lost on lotteries in Victoria. The Victorian government was paid a total of $390.7 million in taxes and levies on lotteries in Victoria during this period. In Victoria, Keno is only offered by Tabcorp Investments No.5 Pty Ltd (Tabcorp) in eligible clubs, hotels and wagering outlets. NetLotto founded in 2009 is a privately owned company established based in Brisbane, Australia. At 5 February 2014, there were 701 Keno outlets and approximately 1268 Keno terminals in Victoria located at clubs and hotels. Between July 2013 and June 2014 a total of $15 million was lost at Keno outlets and terminals in Victoria. The Victorian government was paid a total of $3.6 million in taxes and levies from Keno outlets and terminals during this period. Lately in 2015 Intralot will exit the Victorian public lottery market in an orderly fashion and Tattersall’s will be authorized to provide scratchiest and daily keno across Victoria. Australian Saturday Lotto is one of the most popular games in Australia and is played across all states and territories. Although the game is widely known as Lotto in most parts of Australia, it is called Tattslotto in Victoria, Tasmania, Capital Territory and the Northern Territory, goes under the name of Gold Lotto in Queensland, and is known as X Lotto in South Australia. Players need to select a total of eight numbers from a pool of 45. The first six numbers drawn are the main numbers, and the following two numbers are known as supplementary numbers. 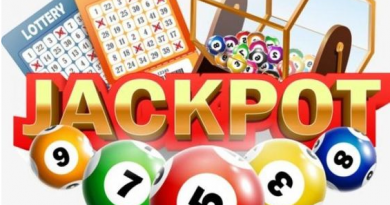 In addition to the jackpot, there are five secondary prizes in every draw; players can even win a prize for matching a combination of just one main number and both supplementary numbers. A System Entry gives you the option to play more numbers per game for a greater chance to win. As an example, to win Division 1 in TattsLotto, you need all six winning numbers. To increase your chances of winning, you could play a System 9 which means you get to choose nine numbers for that game rather than the usual six, giving you 84 equivalent games. Take TattsLotto coupon at your local Tatts Outlet or select your numbers Mark 7 – 20 numbers in each game panel (e.g mark 9 numbers for a System 9 Entry etc), Play 1 – 50 games on a QuickPick coupon, Play 1 – 18 games on a marked coupon, Mark the “System/Pick” check box on your coupon. With Play a Pick entry and you can guarantee yourself either one or two of the winning numbers required to win that game. You can play a Pick entry with your favourite numbers on a marked coupon or as a QuickPick. Like if you play a Pick 4 Entry for TattsLotto, you are guaranteed two out of the six winning numbers, and you only have to pick the remaining four winning numbers in that game panel. For a Pick 4 entry – mark 4 numbers in each game panel (gives you 2 out of the 6 winning numbers) and for a Pick 5 entry – mark 5 numbers in each game panel (gives you 1 out of the 6 winning numbers) Play 1 – 50 games on a QuickPick coupon, Play 1 – 18 games on a marked coupon, Mark the “System/Pick” check box on your coupon. When playing a Standard, System or Pick Entry, if you have marked only a few game panels and want to play a bigger entry, all you have to do is ask for a Top Up. The remaining game panels are quick picked for you as standard games up to 9(Option available for Oz Lotto Only), 12, 18, 24, 36 or 50 games. Let your Retailer know how many games you want to top up to or, if you are purchasing online, you can select the ‘quickpick row’ or ‘quickpick un-filled games’ options to Top Up a Standard, System or Pick Entry. Also play a Multi-week entry that allows you to play the same numbers in your favourite game for 2 to 10 weeks at a time. There is TattsLotto Superdraw entries for specific draws available up to 10 weeks prior to any lotto draw date. Oz Lotto is Australian big jackpots guaranteeing a minimum division one prize pool of$2 million every Tuesday and can jackpot to $50 million or more. Every Tuesday night, 9 balls are drawn at random from forty five balls numbered 1 to 45. The first seven balls drawn are the “winning numbers” and the last two numbers are the “supplementary numbers”. To win first division you need to match 7 numbers in a single game with the 7 winning numbers from the draw. Lucky Lotteries is a jackpotting game where the winner takes the lot! Both the Lucky Lotteries Super Jackpot game and the Lucky Lotteries Mega Jackpot game have a set number of tickets to be sold. Once all the tickets in a draw are sold the draw for that particular game can take place. The Monday & Wednesday Lotto game has forty-five balls numbered 1 to 45 from which eight are randomly selected. Draws take place on Monday & Wednesday evenings at 8:30 pm and the first six balls are the “winning numbers” and the last two drawn are the “supplementary numbers”. You win if you match the right combination of winning and supplementary numbers with your entry. There are six prize divisions and both weekly draws offer a guaranteed $1 million Division One prize for up to 4 winners. If there are more than 4 winners the $4 million is divided equally amongst all winners. 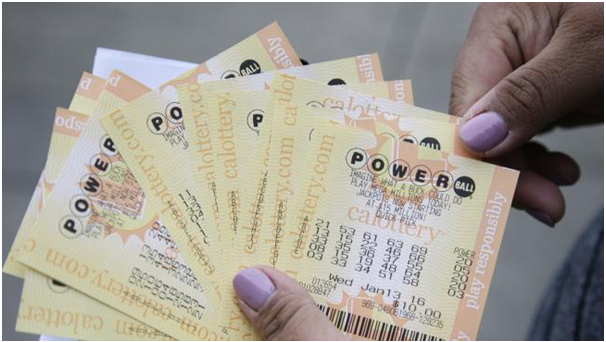 Powerball guarantees a minimum division one prize pool of $3 million every Thursday and can jackpot to $50 million or more, Powerball could give you the power to change it all. Playing Powerball is easy. 6 balls are drawn from 40 balls numbered 1 to 40 from the first barrel and 1 Powerball is drawn from 20 balls numbered 1 to 20 from the second barrel. Powerball is drawn Thursday nights and is broadcast at approximately 9:40 pm on Channel 7TWO (check your local TV guide). You can play Super 66 by asking for a Super 66 QuickPick or by marking it on your TattsLotto coupon. You can play 1 to 12 Super 66 games costing just $1.10 per game. You can also add Super 66 to any of your lotto product QuickPick Entries. Just ask your Retailer how many Super 66 Entries you want to add on. When you play, a six-digit number is randomly generated for you compiled from numbers 0 – 9. Six balls are drawn every Saturday night after the TattsLotto draw and the more numbers you match in order the more you win. The Pools is a ‘6 from ’38 lottery game where the winning numbers are based on results of soccer matches played in Europe, Australia and around the world instead of numbered balls being drawn from a barrel. You can play The Pools simply as a game of chance by playing your favourite or randomly selected numbers, or you can put your soccer knowledge to the test by choosing your numbers based on the teams competing on the Match List for that week. The winning numbers are determined by the order of rank applied to the results of the matches. AS example, score draw games are ranked highest, nil-score draw games are second highest, then away team and home team wins respectively. The Match List numbers for the six highest ranked matches are the “winning numbers” and the seventh highest ranked match is the “supplementary number”. You have to be 18+ and resident of Australia or International jurisdiction. You have to complete the registration page to establish your account. You can then deposit when convenient and make online purchases whenever you wish. There are no minimum account balance or spend requirements and tickets are the same price as a Tatts outlet. And once you’ve registered, you’ll receive a welcome email with your member log-in details. You can buy a QuickPick if you have funds in your lotto account. Or buy using a web enabled mobile phone and receive an email copy of your ticket. Transfer funds by BPay via your bank, or ‘on the go’ with Visa or MasterCard through secure payment gateway. If you win from an online purchase you will receive email automatically. Also money will be deposited directly into your lotto account, usually the next day. Tatts is online secure and you have the protection you when transacting. Your online account has a comprehensive account history as well as the ability to cancel tickets up to the close of draw. To take advantage of internet purchasing, you must be a resident of VIC, ACT, NT, TAS or selected international jurisdictions and be over the age of 18. Plus, you will be required to confirm identity before you can withdraw any funds from your account. With Tatts card membership you can view your prizes, add your favourite games and link to your online lotto account. You can use your card when you play, and if you have a win and the prize is unclaimed for four weeks from the date of the last draw on the ticket, automatically prize cheque is send to your registered address. If you have a Tatts Card and you lose a registered ticket or your card, a security ‘stop’ can be placed on your ticket, preventing it from being paid to someone else, provided it hasn’t already been claimed. You are also entitled to every month bonus draw where 1 lucky member wins $1,000. You will automatically receive 1 entry in a draw for every $1 you spend. Online purchases are also eligible where members have an active Tatts Card membership linked to their online lottery account. You can now link your Tatts Card to your online account for online access to view your ticket and prize history keep your details up to date, check your tickets and pay your Tatts Card membership fees. All prizes over $1,500 can be claimed within six months of a draw by completing the Prize Claim Form and following the instructions. Your prize payment will be processed and paid within 10 working days of receipt of your Prize Claim Form by Tatts Administration. Cheque payments will be mailed direct to the claimant or, for Electronic Funds Transfer (EFT), payment will be deposited directly into the nominated bank account. Your prize payment will be processed and paid within 10 working days of receipt of your Prize Claim Form by Tatts Administration. First division prizes are only available for payment from the first business day two weeks following the draw. All lower division prizes are available the next day (with the exception of The Pools which is available the Tuesday after the draw).